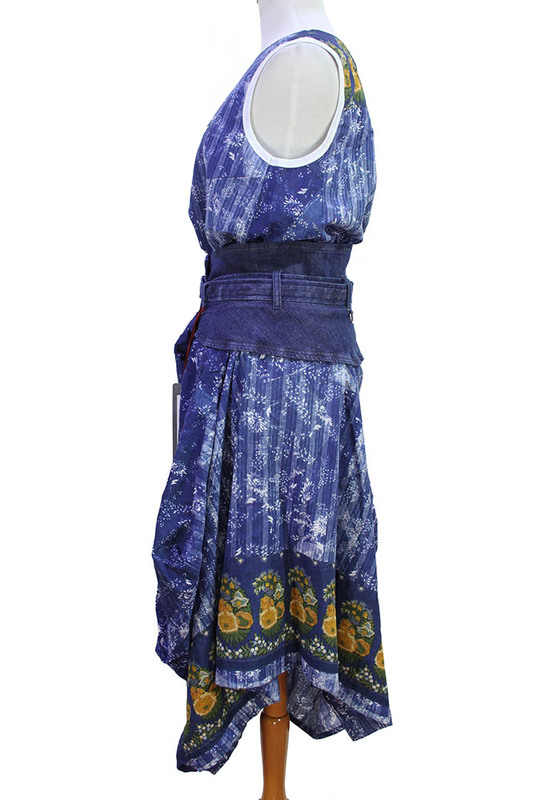 High 'Stanza' top and 'Enthral' skirt in blue flower print to form a wonderful two piece outfit. Sleeveless, vest style top with white trim on neck and armholes. Curved rear hem and straight front hem. Coloured print fabric yoke at rear. 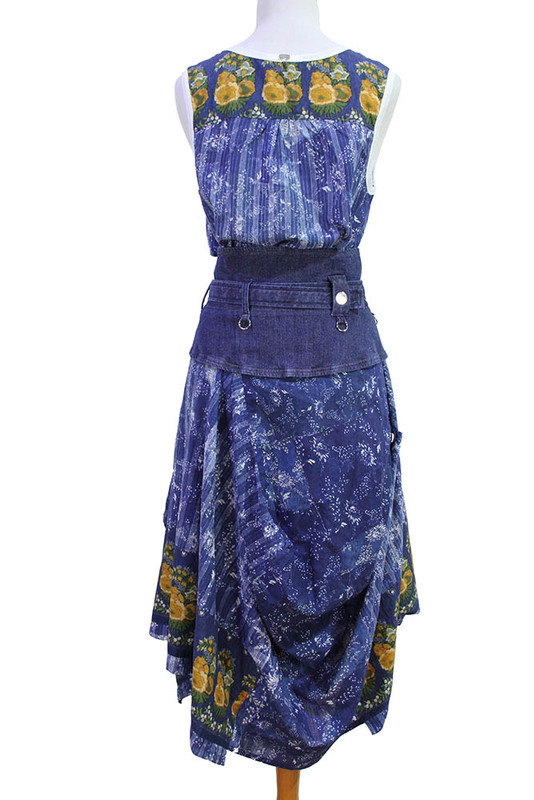 The skirt is in the same blue flower print with the coloured print fabric as a panel above the hem hem. Very full skirt with loops at the front, gathering below the waist, quite stunning. Denim, shaped waistband, with adjustable belt and button fastening. Belt loops have metal hoops attached. Curved hem which is longer at the rear. The construction and shaping of the skirts exceptional. A wonderful Summer outfit!